Last week, Harley-Davidson recalled about 29,000 model-year-2014 touring (Project Rushmore) bikes. 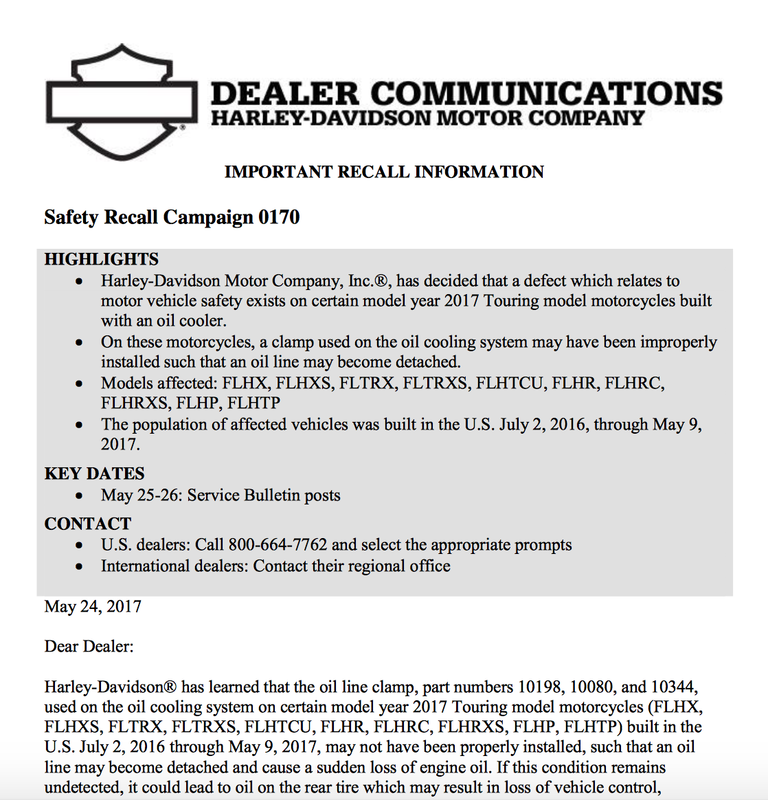 The recalled models include 25,185 touring models (FLHTCU, FLHTK, FLHTP, FLHX, FLHXS, FLHTKSE, FLHRSE) and 3,861 CVO and Trikes (FLHTCUTG, FXSBSE, FLSTNSE) built between May 3rd and October 14, 2013. The cause is a possible safety issue involving the hydraulic clutch. Some of the motorcycles may exhibit a condition in which the hydraulic clutch system may lose the ability to generate enough lift to disengage the clutch, making it hard to slow or stop. 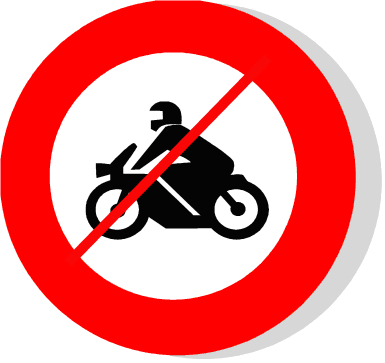 The company included a “Do Not Ride” notice to owners and a “Do Not Deliver” notice to dealers until the motorcycles were fixed. The repairs have been identified and should take less than an hour to correct. 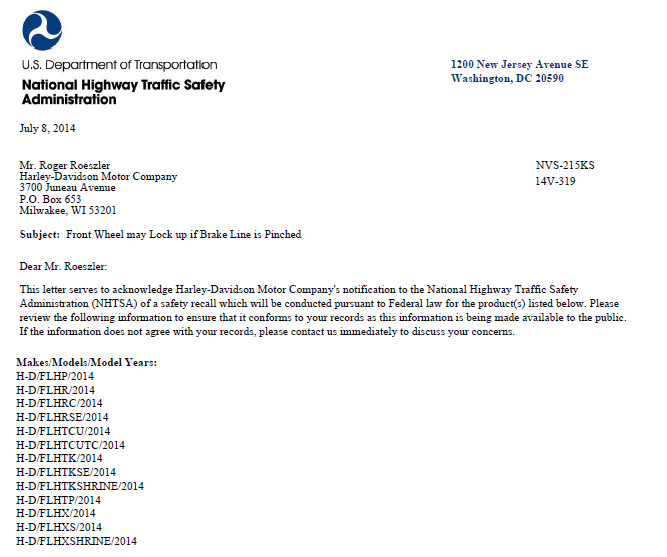 Because the NHTSA was closed last week as a result of the partial government shutdown there is yet to be a NHTSA campaign ID number issued. Harley-Davidson is moving ahead as if the agency was fully operational. The recall is expected to cost the motor company $4.9M in the fourth quarter, but it’s not expected to have much of an effect on production. Since 2009, Harley-Davidson management has consistently repeated how they have been intensely focused on improving the cost structure and transforming the business to be stronger, more flexible and more profitable… Knowing a few riders with new motorcycles that have had warranty failures, I’d like them to talk more about the quality improvements being made YOY. If you have a motorcycle manufactured during this time you can visit your dealer or call H-D at 414.343.7988. Photo courtesy of Biker Law web site.